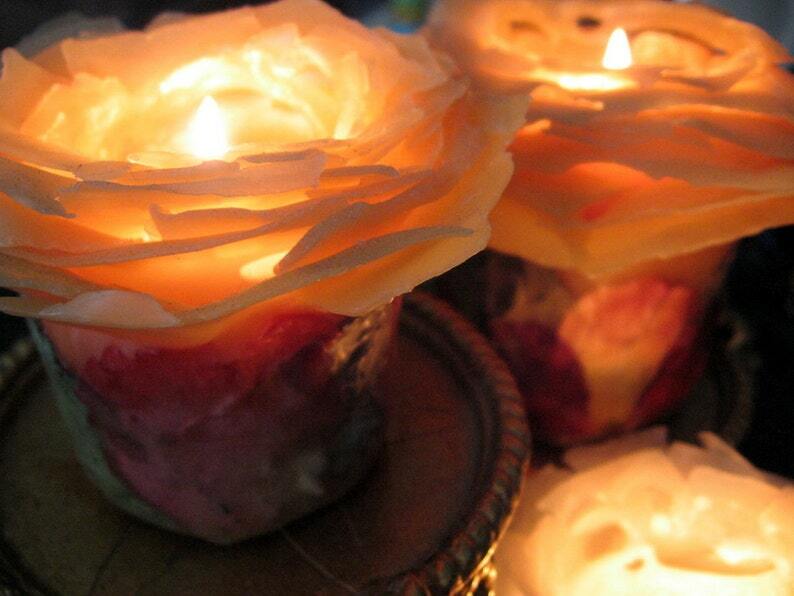 This pure beeswax Rose Candle is exquisite in any decor. A luxurious, unique gift for someone extra special! 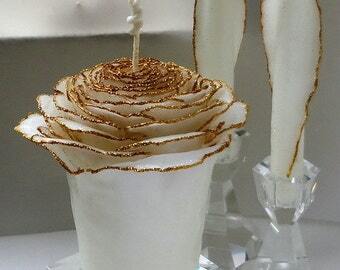 Handmade to order in your choice of natural honey or natural white beeswax adorned with rose petals and leaves. 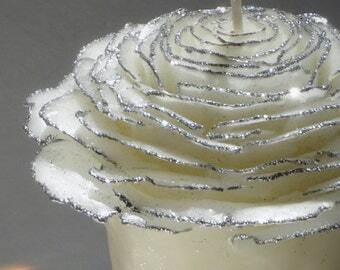 The candles are long burning with a delicately fragrant, natural honey aroma. 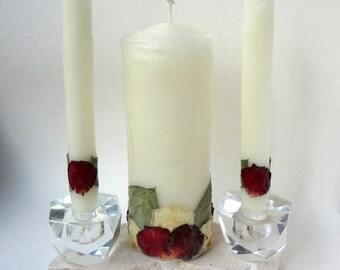 Handcrafted using my original designs & techniques, no two candles look exactly the same. 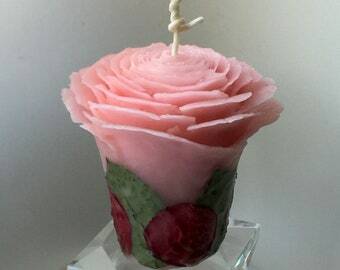 Sent beautifully gift-wrapped, the candle can be mailed to you or directly to your gift recipient. • ADORNED WITH: red rose petals & green leaves. Contact me if you'd like a different petal color. Holders are not included in the sale. Let me know if you need help finding holders. Please tell me the date needed by in the note section during checkout. The current estimated production time for this item is listed in the "Shipping" tab. See PAYMENT & SHIPPING INFO for this item (and my general SHOP POLICIES) on the right hand side &/or below this listing, depending on your viewing device.